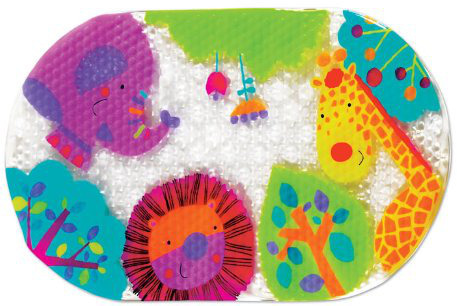 The perfect accessory and necessity for any child’s bathroom, this All About Baby Bath – Jungle Bathmat features vibrant pinks, oranges, blues and purples; a whole heap of fun animals to look at when you’re little one takes a bath. No slipping, tipping or sliding with this mat, as it’s equipped with suction cups to ensure it stay put while your infant or toddler bathes. Ideal for ages 2-and-up, you can’t go wrong with the tub matt’s eye-catching, too-cute designs.